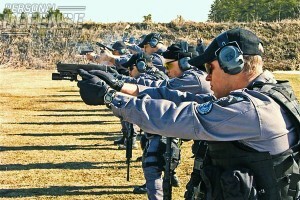 We generally run CT Guard Card courses almost every Wednesday & Saturday 8:00 a.m. to 4:00 p.m. Weekday evening courses are available upon request. Our classes are offered at: 58 Renshaw Drive East Haven, CT 06512. You can simply register & pay online or call 203-907-6594 with any questions. 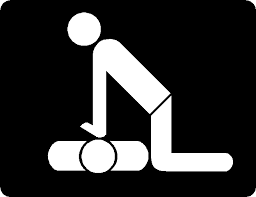 We offer a CPR & First Aid class which includes AED training with an Automated Electronic Defibrillator. This certification is for Adult, Child and Infant certifications all at once. The Heartsaver First-aid/CPR/AED class covers the following topics: bleeding control, seizures, epi pen use, allergic reactions, snake bites, broken bones, poisoning, CPR for adults, children, and infants, choke-saving, how to use an AED (automated external defibrillators), and other life-threatening emergencies. This course is for renewing, rectification or initial student and is considered a basic first-aid class. There are not any official lunch breaks in this course but there will be breaks on the hour. Teachers, summer camp counselors, coaches, foster care, social workers, maritime (US Coast Guard approved) nannies, parents, grandparents, babysitters (ten years or older), construction, acupuncture students, general workplace. You can register and pay for the training right here online. Just hit the “Pay Now” button to register. I’ve been certified to teach CPR and First Aid since 2007. I take this responsibility seriously. I fully understand that you may not only need these life saving skills at work, but you may also need them at home to protect and save a loved one…and that’s what this is all about…FAMILY FIRST!!! Compare Us With Other CPR/First-aid Companies everywhere. Wear comfortable clothes and remove lipstick and lip gloss before practicing on the CPR manikins. If you have back or knee problems, tell your instructor, and you can practice on a table. Children and non-participants are not allowed in the classroom. Our AHA instructors are friendly, experienced, and professional and I am sure you will have a fun and stress-free CPR training class. You are required to have the current textbook for this course. Course includes price of workbook. There are a few websites where you can enter in your name, pay $50, and then print out an online CPR & first-aid card – all within 5 minutes. This type of fake online CPR/first-aid card is well known by your employer and is not accepted for any type of job requirement. Warn your friends and coworkers about this internet scam. This is the CT mandatory class on Saturday for Security Officer Certification…CT Guard Card. We are the best at what we do!!! Also, the CT State Police have informed us that there is a state statute that now waives the class for veterans, active military, reserves and national guard. They have also informed us that they will now waive this education course to all retired law enforcement officers. We strongly suggest that if you fall under one of those categories that you call the CSP Special Licensing Unit if you have any specific questions before registering for this course as I want to make it very clear that they will wave this course. I hope all veterans, active military, reserves, national guard, and retired law enforcement understand that you should contact the CSP Special Licensing Unit at the Department of Emergency Services and Public Protection before registering for this course. MOS Security Training and Licensing Fee Waiver for qualifying armed forces personnel. Public Act 14-131: Effective October 1, 2014, military personnel seeking licensure as a security officer in Connecticut may qualify for a waiver of the required security training course and licensing fee. Please contact the Special Licensing and Firearms Unit at 860- 685-8494 to speak to security licensing personnel for additional information and specific requirements. Under State of Connecticut law Sec. 29-161b any person who is employed as an “Armed” security officer must first complete an approved security firearms training course in addition to their required Criminal Justice certification course to obtain their “Blue Card” endorsement on the State Pistol Permit. Additionally, all holders of a Security Officers Firearms Endorsement are required to re-certify annually which Grey Wolf can accommodate as well for a reduced fee. This course meets or exceeds and has been approved by the State of Connecticut Department of Public Safety to meet these requirements. For additional information. This is the Connecticut mandatory class for Security Officer Certification CT Guard Card. The class goes over all the basics about the Security Industry and how to be a Security Officer. It also covers all the laws pertaining to the security industry in CT, all the state laws governing self defense and use of force, and the laws governing citizen’s arrest in Connecticut. We cover the use of force continuum, fire safety, the history of security, work place violence, terrorism, fire safety, communication skills, and many other aspects of the security industry. Location: 58 Renshaw Dr East Haven, Ct 06512. MOAB CLASSES are 4 hours in length and they cost just $150!!! Have confidence on how to deal with people in tense and potentially dangerous situations. I am a Hostage Negotiator and Instructor and am willing to share my experience and knowledge to help you accomplish that noble goal. MOAB® training presents principles, techniques, and skills for recognizing, reducing, and managing violent and aggressive behavior. The program also provides humane and compassionate methods of dealing with aggressive people both in and out of the workplace. This course is an industry standard training for the use and application baton and greatly reduces your liability and increases your value in the marketplace. The training course is commonly known as BATON TACTICS, and the lesson plan is by PPC. The Personal Protection Baton Tactics™ is a straight and expandable baton training program drawing information from a variety of baton and training resources. The concept of controlling individuals with police batons is not new. Police batons of all varieties have been used for decades to control violent or resistive individuals. Proper training in the their use is essential to reduce injures to officers and suspects and to protect the officer and agency from frivolous litigation. When used responsibly in accordance with agency policies and procedures and federal, state and local laws police batons are a viable control option. The Personal Protection Baton Tactics™ program is designed for public safety officers who deal with conflict or potential violence. This includes corporate security, federal, state and local law enforcement organizations, contract security companies, academic or healthcare law-enforcement and security, corrections, military police, probation and parole, bail enforcement, and executive protection. Identify the stages of conflict in order to: recognize the threat, reduce the threat, and determine how and when to use force. 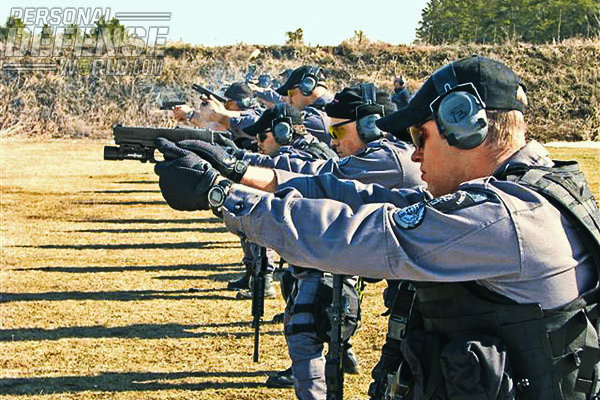 Apply state-of-the-art tactical concepts such as: Proper Defensive Positions, Methods of Movement, Drawing Techniques, Baton Shielding, Baton Counter-Strikes, and Baton Retention. Avoid liability suits through: Certified training, understanding the effects of police batons, identifying factors which justify baton use, and proper baton incident documentation. The Personal Protection Baton Tactics™ training program is non-product specific straight and expandable baton training program. Once trained and certified the officer and agency choose the brand and design of straight or expandable baton that fits their needs. ***This course does not address the use of side-handle batons. This class is run on Friday evenings once monthly for individuals who can not take the class during the day time on weekends or simply do not wish to take time off from work. Click Pay Now to reserve your seat! Lou, you were not kidding when you said there were tons of jobs out there for security positions. I took your course on Saturday the 1st of September, applied for my guard card on the 4th and was installed in a security position by the 6th of September. [Arrow Security] That has to be some kind of record! Thank you for your guidance. Thank you, Lou, for your class it was great and a lot of great info. Just want to let you know that I am working for Dunbar now. I just wanted to Thank you again for your class today. I am grateful you were able to teach us so much information in such a small amount of time. It was extremely helpful and informative and after today I feel a lot more confident and eager to get started in this field. I feel this could be a very good start for me. I learned a lot and you gave some great tips and information. I was contemplating pursing a MBA in the near future so that was a divine confirmation. Thank you. I will definitively be contacting you about the package ($400). I started the Fema courses, that bonus was worth double the course alone! God Bless. Thank you for today. I appreciate the knowledge and your time. I look forward to taking more classes with you in the very near future! I wanted to extend my thank you today for an awesome, well – taught and very thorough class today! You ran an excellent class today and just wanted to thank you again for making it so interesting and fun. I remember taking the security guard class and it was 8 hrs of just not wanting to be there. You made it worth the drive from Westport. I will definitely take more classes with you and spread the word. You’ve got a wonderful natural teaching talent and no class is ever the same. I got my Guard Card today, thanks to your class at LJB Security. Now I can depart a job I am not pleased with and do something I like.